Kansas center Udoka Azubuike (35) waits to check into the game during the first half, Thursday, March 15, 2018 at Intrust Bank Arena in Wichita, Kan.
Wichita — Nine days after hitting the floor in practice, sent there by a sprained MCL of the left knee, Kansas starting center Udoka Azubuike checked into Thursday’s first-round NCAA tournament game with 8:32 left in the first half and Kansas trailing by eight points. Many in the pro-Kansas crowd stood up and roared. Seeing the biggest man on the team entering a game after missing three in a row was the first step toward easing the fears of a fan base that lives for March. Soon thereafter, Kansas began its climb back, led by six at halftime, and advanced to the second round with a 76-60 victory against Penn at Intrust Bank Arena. In a fairy tale, Azubuike would have carried the team to its triumph with monster dunks and vicious blocked shots. Not the case. Knee injuries don’t follow fairy-tale plotlines. View a gallery of images from the Jayhawks' first round game against Penn at Intrust Bank Arena in Wichita. Azubuike played three minutes and had one rebound to show for it. That’s fine. The first step was not about statistics or dominance. It was about getting the first step out of the way so that there could be a second step, which is scheduled to come Saturday against Seton Hall. Azubuike spent parts of the rest of the game riding the exercise bike behind the bench to keep the knee from stiffening. He pointed to the inside part of his knee to show where he experienced pain. Azubuike met with coaches and medical staff Wednesday and learned there that the plan called for him playing “five to six minutes, max,” in the opener, coach Bill Self said. Lightfoot had a big second half, contributing all nine of his points and 9 of 11 rebounds after the break. Silvio De Sousa pitched in with two points and four rebounds, but Self isn’t in denial about how much Azubuike means to the team. Kansas looked like one in the Big 12 title game victory against West Virginia with De Sousa playing so well, but didn’t look the part in the early going Thursday against the Ivy League school. Self said Azubuike had not played in a fullcourt setting with teammates since the injury until entering Thursday’s game. The coach isn’t fantasizing about a full recovery by then. He’s more realistic than that. “Hopefully we can get him at 80 percent, 85 percent tomorrow for full practice and then have him available to us on Saturday,” Self said. By the Numbers: Kansas 76, Penn 60. Rebounds, getting turnovers, blocks, and making shots at foul line won this game. That, and Devonte Graham running down hill. Rock Chalk Jayhawk!! Very scary, and eerily reminiscent of the Joel Embiid situation. If Dok can't play well on Saturday, we're in serious trouble. I disagree, Len. Embiid did have an injured knee but it was his back that kept him out of the postseason. Maybe the knee led to the back injury if he was overcompensating and if that's true then maybe you got it right. I read several articles indicating that the ligaments in his knee were stretched but not torn in any way. I think Udoka starts on Saturday and plays 20+ minutes. Main difference between this and embiid is embiid was a season ending injury and now looking back very serious injury as he is finally fully recovered and killing it in the NBA. Dok is still out there playing, embiid had no shot and we knew that in 2014. If we manage to win saturday dok will be fully healthy by next weekend to be a difference maker. I am just not sure Dok can be flexible enough to be effective. Especially this soon. I really think with the big guy from SH being so strong we might need De Sousa big time Saturday. Need a performance similar to WVU. How flexible do you want his knee should be? He is wearing a brace to help prevent side to side movement and he stated that as far as catching passes and scoring that there wasn't a problem. Now you understand why Self stated it was a grade I sprain and that he would know more about Udoka's progress after selection Sunday. If he made it out to be serious and that it could preclude him from playing in the tournament, then the selection committee could/would have taken that information into consideration. “We’re a 1 seed based on our personnel,” Self said. “If we don’t have our big guy, are we really a 1 seed? Self knows the game on and off the court. What I saw happen when Dok came in changed the game. Penn now had to protect against the lob and therefore had to drop back and help out of the week side just a step or 2. That opened up the outside and even when he returned to the bench, they did not readjust and we had a little more daylight. The Jordan Bell reference is a key point. Delgado is a tough dude, so KU has to find a way to somewhat neutralize him. I'm pretty confident that Coach Self and his staff will find a way. They almost always do. To me, the bottom line is that KU beat WVU without any input from Dok, and Seton Hall is not as good as WVU. That's not to say that the Hall isn't capable of winning. They clearly are. However, anything that Dok can give us against them is a plus, and our biggest advantages still are the leadership of Devonte and the genius of a Hall of Fame coach. It's time for THUNDERBOLT AND LIGHTFOOT to play at a level like Buffalo did last night....a Jerod Haase level...not only did they beat Arizona...they beat them by 20...it wasn't even close.... a blow out......if you play at a energy level of a Jerod Haase......you blow people out of the gym.....So we need Thunderbolt DeSousa and Mitch Lighfoot to really show up tomorrow ...and we can sprinkle in Dok... in the 2nd half....and of course we need all the other great players on our team to play at Jerod Haase levels also....Seton Hall is the kind of team that historically.... we have had trouble with...that's is why the energy factor is so important...I cannot emphasis it enough...to win to you have to leave it all out there....tomorrow is another championship game...its for all the marbles.... and with our Superstar Coach leading the charge.......I am confident ...he will have our team ready to go.... full throttle...I am really looking forward to it! 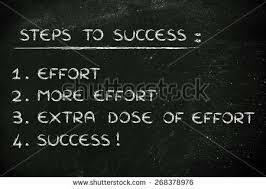 WHAT DOES EFFORT GET YOU?.....RESULTS!!!!!!!!!!!!! !....ASK BUFFALO AND UMBC....BLOWOUTS IS WHAT EFFORT GETS YOU!!!!! GO BEAT SETON HALL BY 30! i BELIEVE IN THIS TEAM!!!!!!!!!!!!!!! WE ARE BEHIND YOU 100%!!!!!!!!!!!!!!! !